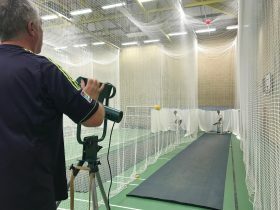 Our 2018 nets are under way! Despite the snow, we had a really good turn out from Barford and from our friends at Snitterfield CC. 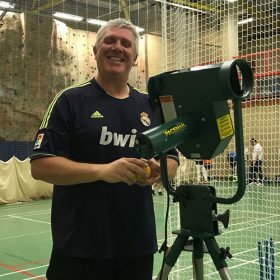 “Doris”, the bowling machine that we helped purchase with King George’s Playing Field, was the pick of the bowlers as usual. 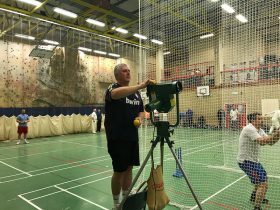 We are always on the look out for new members and the nets are a great chance to find out if you’ve still got it. You are very welcome even if you never had it! You can find full details of times, dates and locations by clicking here. 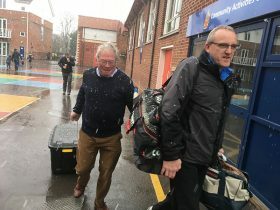 Members of Barford’s elite training squad brave the snow. Skip’s already planning his batting order for the first game.